The Centre for Novel Agricultural Products (CNAP) uses cutting edge scientific methods and knowledge to harness the power of nature for the development of new products and processes to address some of the major global challenges of the 21st century. CNAP has been using excellent, fundamental science to underpin industrial biotechnology for more than 15 years in projects that encompass plant and microbial sciences for the development of sustainable fuel, pharmaceutical and chemical industries, bioremediation and to enhance food security. CNAP provides a creative and enabling environment to around 80 staff and students led by five professors: Ian Bancroft, Neil Bruce, Rob Edwards, Ian Graham, and Simon McQueen-Mason (CNAP Director). CNAP was established in 1998 with a charitable endowment from the Garfield Weston Foundation. Research in CNAP is funded from a wide range of competitive sources including the Biotechnology and Biological Sciences Research Council (BBSRC), Bill and Melinda Gates Foundation, US government, UK and international industries, and the European Commission. CNAP is part of the BBSRC Sustainable Bioenergy Centre (BSBEC), in which it is home to the BSBEC Marine Wood Borer Enzyme Programme and partner in the Cell Wall Lignin Programme. 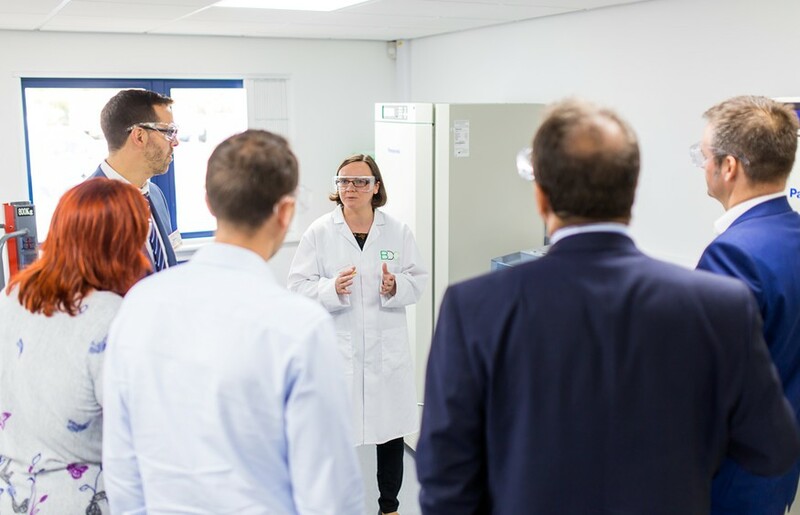 CNAP hosts two BBSRC Networks in Industrial Biotechnology and Bioenergy: the High Value Chemicals from Plants Network and the Plant Biomass Biorefinery Network (PBBNet).